This was Aberporth’s first race for over 15 years and what a great day it was. 37 crews competed in beautiful conditions and put on a great show for the hundreds of spectators. It was made extra special when in the Men’s race Aberporth came across the line in first place to claim their first ever win. Race Pictures will follow soon here, please check later in the week. The whole day was a great success and wouldn’t have been possible without the following sponsors, donations and helpers on the day. BBQ – Ian, Jean, Bev, Fran, Annette, extra special thanks to Richard & Lynne (Ship Aberporth) for saving the day. Refreshments – Rachael & Helen. Marshals – Chris & Danny. Photography – Paul Fenrich. Time Keeping – Howard & Ryan (Velo Teifi). Event PA & Race Commentary – Extra special thank you to Dai Ogg who kept the rowers and spectators well informed and entertained throughout the day and to Steve for his in race commentary. 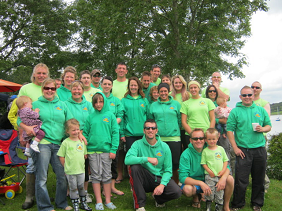 Well done everyone at Clwb Rhwyfo Aberporth Rowing Club, same again next year! Please click continue reading below and scroll to the bottom to read and leave comments. Many thanks. Please note that all competitors should be prepared for rowing by 11:00 as race schedule may change. Parking : Paid car parks will be signposted, and overlook the 2 beaches. Over flow parking (free) can be found behind the village hall. Please be aware that most of Aberporth is double yellow lines. Race day mobile 07966 677736 (Tim Ogilvie) 07855 643577 (Oli Box) from 6:30 am onwards. Directions: (from the north). Travelling on the A487 towards Cardigan take the B4333 at Gogerddan, signposted Aberporth. Follow the road into the village, and take a left turn at the roundabout just after the Chinese takeway and Y Morlan pub. Follow the road down the hill. The boat area will be signposted and marshalled. (from the south). Travelling on the A487 towards Abersytwyth please follow the directions as if you were travelling from the north. Please do not take the 1st turning for Aberporth off the A487 (new roundabout) as entry to the slip is tight and can only be accessed from a northerly direction. 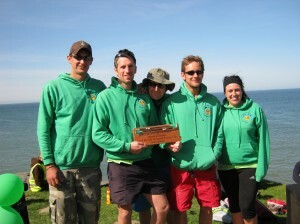 Aberporth will be hosting the Welsh Sea Rowing Association (WSRA) Celtic longboat league race on Sunday 24th April 2011. This is on Easter Sunday, the middle weekend of the Easter Holidays. Welsh Celtic longboat races are a fantastic spectacle, with up to 50 teams from all over Wales competing to be the Welsh Champions! More details to follow soon. But pencil this day in as it is going to be a fantastic event with other activities for adults and children to enjoy throughout the day. Hello, everyone at Aberporth. We had a cracking day with you all, yesterday, thank you so much. The rowing was great -I really enjoyed the course ‘though I only got to do the 4 mile mixed, next year I hope to get a crack at your men’s race too. The main reason I thought to write was that afterwards, when my wife Louisa and I were talking about it, we were both so struck by how friendly, warm and hospitable you all were- not just to us, we felt your club as a whole were just very thoughtful and welcoming, especially to people you didn’t know and who perhaps were not rowers. It made for a very easy, happy, atmosphere,so thanks from all of us-Louisa, Wil, Osian &Theo – Newquay Rowing Club. Good luck with the rest of the season. Wil.